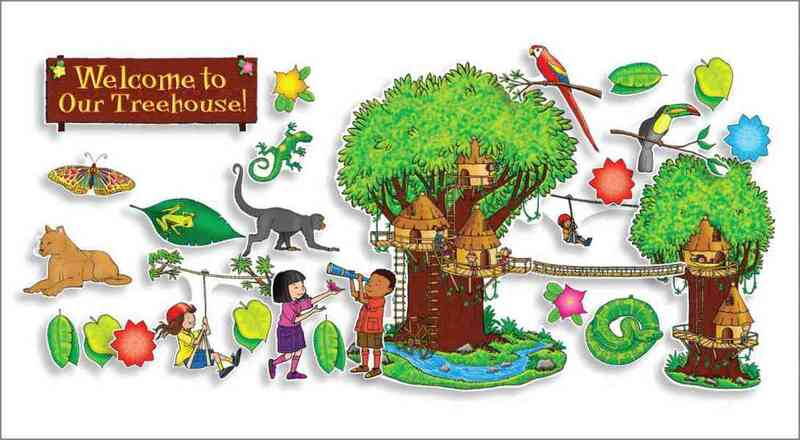 Annotation: Explore the jungle from the safety of your classroom with this bulletin board that features two large treehouses that can be displayed separately or joined together with a rope bridge and zip line. Also includes several rainforest animals, kid explorers, 35 write-on/wipe-off flower and leaf accents for writing studentsÂ·names, and an activity guide. A perfect springboard for studying the rainforest ecosystem!